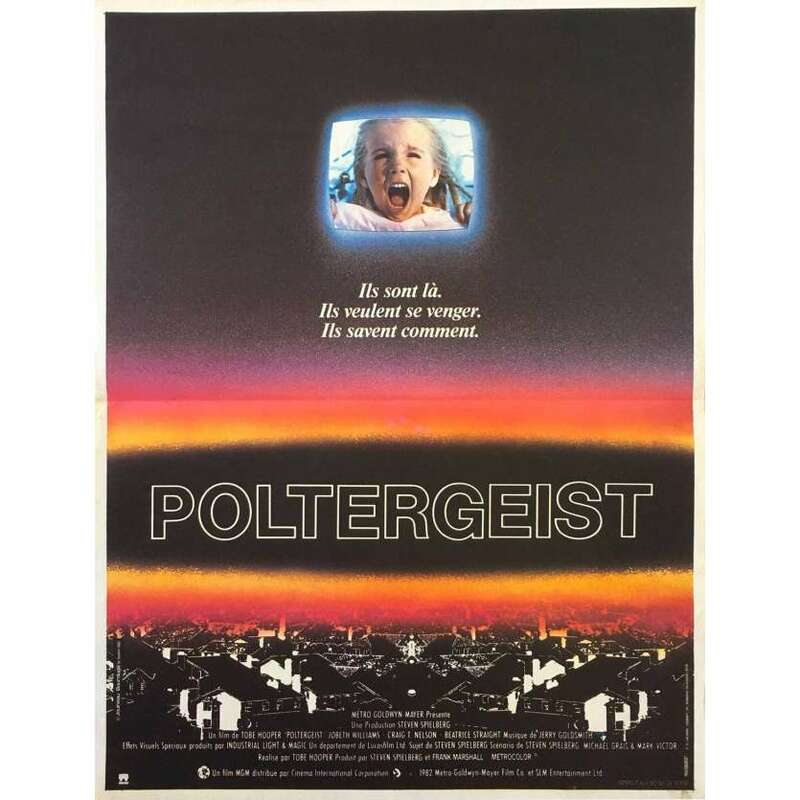 > Movie Posters>Film Posters>POLTERGEIST French Movie Poster - 1982 - Tobe Hooper, Heather O'Rourke! POLTERGEIST French Movie Poster - 1982 - Tobe Hooper, Heather O'Rourke! Poltergeist is a 1982 American ghost horror film, directed by Tobe Hooper and produced by Steven Spielberg, and is the first and most successful film of the Poltergeist film trilogy. Set in a California suburb, the plot focuses on a family whose home is invaded by malevolent ghosts that abduct the family's youngest daughter into the world of the afterlife. In 2002, JoBeth Williams revealed that the production used real human skeletons when filming the swimming pool scene! It led the staff to believe the "curse" on the film series was because of this use.. Famous line : "They're here...".